Dr. Gurpreet K. Padam, MD is a Family Medicine, Hospice and Palliative Medicine physician with Postdoctoral Fellowship training at Stanford University/VA Palo Alto. She aspires to master both the science and the art of medicine and further completed a mini-fellowship in Ethno Geriatrics from the Stanford Geriatric Education Center to garner skills in serving ethnic elders while understanding the unique cultural and linguistic barriers in the delivery of culturally competent medicine. She is a published author and her recent story is included in the Sikh Love Stories collection, Her Name is Kaur. She enjoys writing medical humanities and medical social science articles. She serves on the editorial committee for San Mateo County Physician, a magazine published by the county medical association. 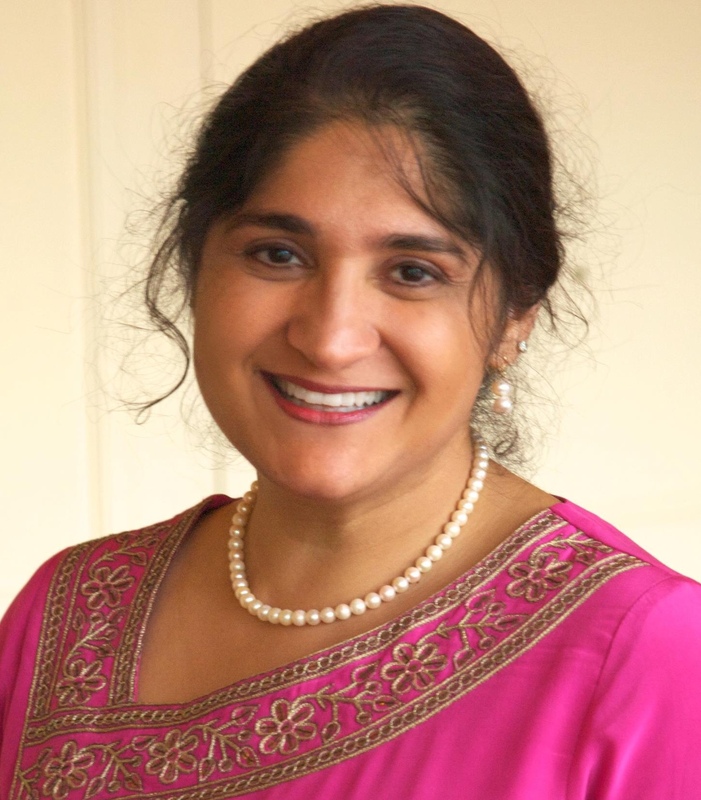 She is a Founding Board Member of the Sikh Family Center which promotes healthy families in the Sikh American community by closing current gaps in access to resources and increasing community awareness and activism. She is a proud mother of two beautiful and loving teenagers. She is a senior physician with the Permanente Medical Group and lives in the Bay Area with her twins and her very supportive husband. Why did you decide on pursuing a career in medicine? Subsequent to my family, medicine is my ultimate desire and passion. When I was a child, all I wanted to do was be a doctor. My dolls were my patients and I sutured their cuts and healed their imaginary ailments. I gave them medication injections with ink pens. Over time, as I became familiar with the vicious and ruthless events surrounding the June and October/November Sikh massacres of 1984, the only way I could do something tangible to make a difference was to channel my energy for a life affirming lifestyle. I wanted to heal the body, the mind and the spirit. In order to make a positive and compassionate impact I pursued the path of healing and the path of medicine. Nature and nurture, both played a role in shaping my career choice. Being a physician has become a part me, which doesn’t end when I leave the office. It is a lifestyle of connecting and caring for people and I love it. How do you practice Sikh i while being a doctor? The essence of Sikhi – no matter how little mastery I may have of it, is like my shadow. It’s always there and ever present. When life turns the “heat” on and I find myself standing under a blistering hot sun, my shadow emerges and makes itself known. It never leaves me. It’s how I know that I am never alone. Practicing medicine is a wonderful opportunity to live my life as a Sikh. In my field of work, I meet people from all socioeconomic and ethnic backgrounds. I feel culturally enriched and spiritually rejuvenated from many encounters. I find myself saying, “Ah…you too are a part of Waheguru.” I try to see that perspective, especially in mentally and physically challenging cases. The amazing ability of our body to heal or the process of shutting down when it is no longer able to heal, is a wondrous one. As a hospice and a palliative care physician, I feel closer to Waheguru when I am in the presence of someone who is at the end of life. Patients who have a few days or weeks left to live, have a very different perspective on life and death. They teach me so many things about how to live my life and to embrace death. When I walk away from a home visit of a near death patient, I find myself a humbler person than I was when I walked into their home. I find myself being more thankful and to desire no more than what I already have. I have found my purpose in life. I was created to do seva, also known as selfless service. However, since I receive so much gratification and contentment from my work, it feels like my seva is anything but selfless. My everyday work is a continuous reminder that we are all made the same yet we are variant in our design. My objective is to appreciate and accept that, and see Waheguru in all. Was there ever a time where your ethics were questioned as a doctor? I am probably my own worst critic. I question myself and give second thought to the prescriptions I write or the advice I give. There are some decisions, which give me a momentary pause. For example, when I prescribe an antibiotic or sign a Do Not Resuscitate, DNR order, I ask myself “Did I weight the risks and benefits even if the patient did not? Will any decision I make, confer more benefit than harm?” I am confronted with these questions nearly on a daily basis. Sometimes patients insist on a treatment which is not needed – for example, demanding an antibiotic for the common cold, which is usually a viral infection and antibiotics do not help with viral illness. The conversation doesn’t always go the way the patient or I had hoped. My actions and my interactions are a reflection of who I am. I pray that in my daily practice, I do not cause harm to anyone and I pray to be guided by what is right for each individual I serve. What was the process like while writing your story in Her Name Is Kaur? Writing my story was a very difficult process. It is true that I wear my heart on my sleeve and I opened up my raw experience for the readers. There is no palatable way to tell my story. I started writing it, the day first of my newborn twins died. The experience was so traumatic and beyond words that in my grief, I was desperate for an outlet. When we came empty handed from the hospital, I felt numb and on fire at the same time. A cloud of thousand emotions hovered over me, the only way I could discern them and keep my sanity was to start writing. Part of me wanted to do that as a cathartic process and a part me wanted to document everything while it was fresh so that I may never forget. A few months later, I met Meeta, editor of Sikh Love Stories and we started talking. She encouraged me to continue writing and consider a submission for Her Name is Kaur. The process of writing and editing was wearying. I would write a few lines and then draw a blank for weeks. I couldn’t find the words to express when I really wanted to. It was arduous to name my emotions and give them a home in my story. Over a 2 year process, every time I told Meeta that I was going to retract my story, she would gently nudge me towards courage. I had doubts even after the book was already in the printing process, and I knew it was too late to withdraw. Meeta continue to remind me that my story may be of help to others. Mostly, I initially felt vulnerable as my inner most pain and heart were completely exposed. My doubts dispelled when I could read my story in print without crying. Although I didn’t realize this at the time, the process of writing has been part of my healing process. I am able to disassociate myself from my pain and I know it’s compartmentalized in a chapter, in this book which houses similar stories of women just like me. There is a powerful sense of bonding and sisterhood. I draw strength from my sisters who are linked in kind and our past is weaved together in this book. We have a bright future ahead and this has been a wonderful stepping-stone. As a doctor, what question do you get asked the most? As a doctor, the question I get asked the most is “What would you do?,” which is typically followed by “…if I was your family member.” Staying grounded and being reminded that we think differently and even biased when our relationships are emotionally intertwined. Thinking of my patients as my family members helps me stay humble and kind. ← Sikh Love Stories Editors’ Response to Our Future Inventors. We Stand In Solidarity with Ahmed.